My days of lurking on this forum are over....such great information and clearly some special cars and very proud owners. My 2015 GT3 is hybernating for the winter but I thought it was time to reveal her as there has been so much talk of PTS cars. 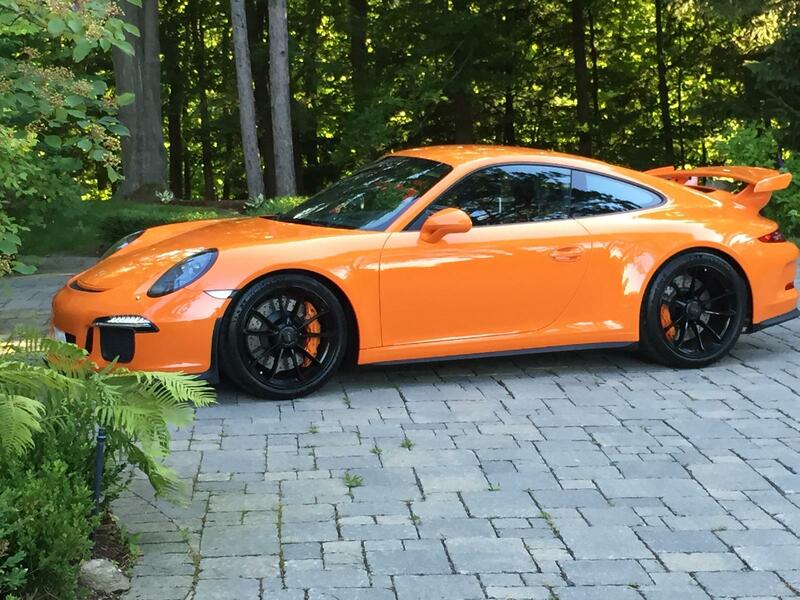 Having not yet seen another Pastel Orange 991 GT3, here she is..!! More pics to follow as I get to know all the intricacies of posting. How did you get the calipers in the same color? That has to be aftermarket! Absolutely beautiful. How nice to have the one and only Pastel Orange that we know of. Congratulation and welcome to Rennlist. Congrats and a beauty for sure! Thanks, guys. Appreciate all the kind words. Calipers were colour matched by my dealership as the car was originally delivered with red ones. Suffice to say, OEM red or yellow callipers would never have looked right. LWB seats and carbon fibre trim complete the interior. Stunning. Best GT3 I've seen yet. Can't wait for more pics. Red stitching or silver? Best looking GT3 I have seen so far. WAY better than salmon and a finally true orange. The calipers make it and that beauty is absolutely stunning. Absolutely awesome. A BIG congrats goes out to another fellow Canuck, eh. Truly beautiful colour and most definitely better than LO. Welcome aboard. She's CREAM SICK KILL GOOD , an Awesome Orange and very special example of a prized ride ! !